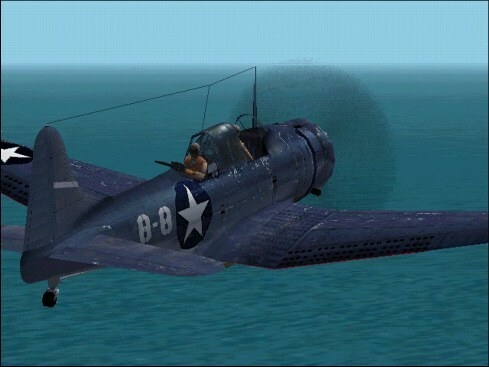 SBD-2 Dauntless in Midway-era paint scheme, freeware by Hawkeye. Since we have a SBD-2 Coral Sea repaint (find it here) I thought it proper to have a Midway SBD as well, this time however by a different author. Who knows, maybe someday we will have a whole collection of SBD-2's from all periods of the Pacific Theatre. This excellently-done repaint is freeware by Hawkeye.